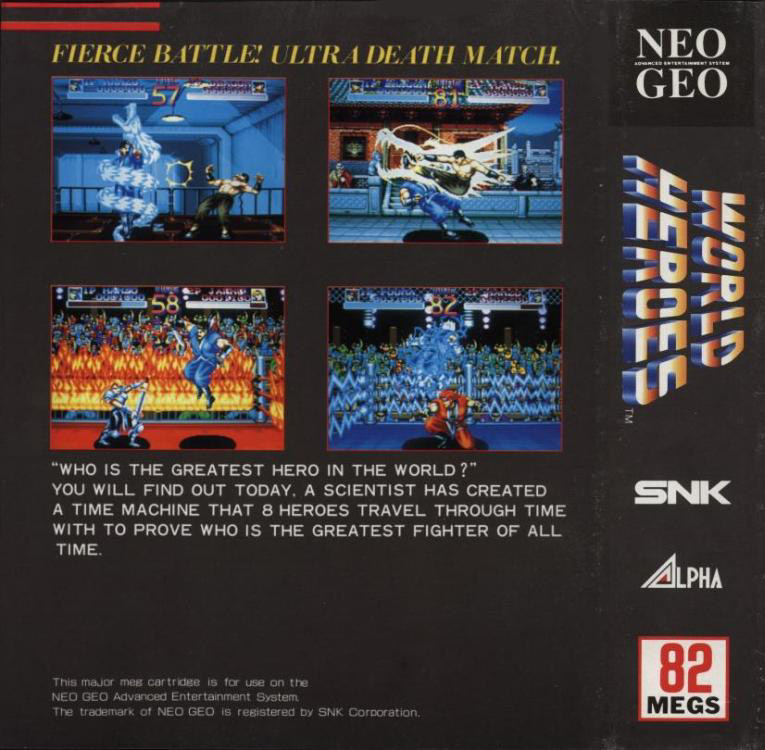 STORY: Dr. Brown, a scientist, perfected a time travel machine, and organized the "World Heroes" tournament for various fighters throughout all of history to combat each other. 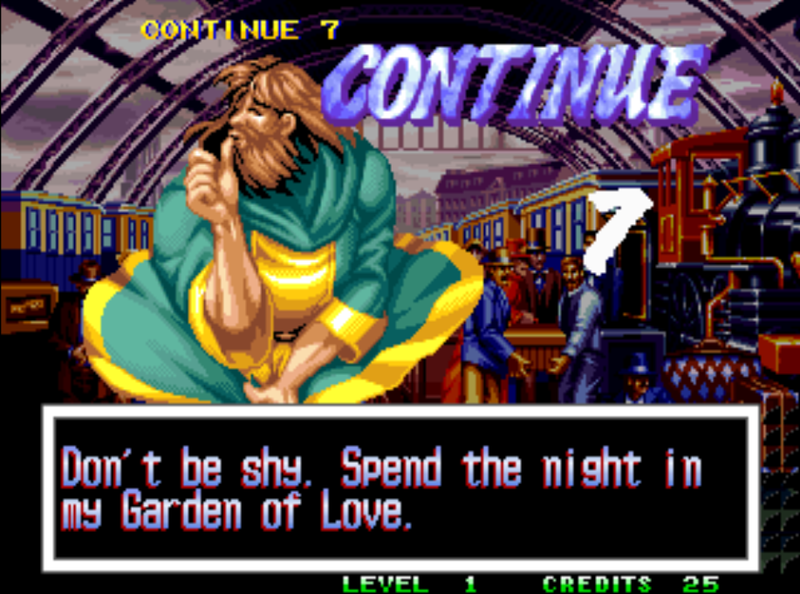 True to this plot, many of the fighters are based on actual historical figures. What a dull selection screen... at least put some borders around those pictures... geeez. 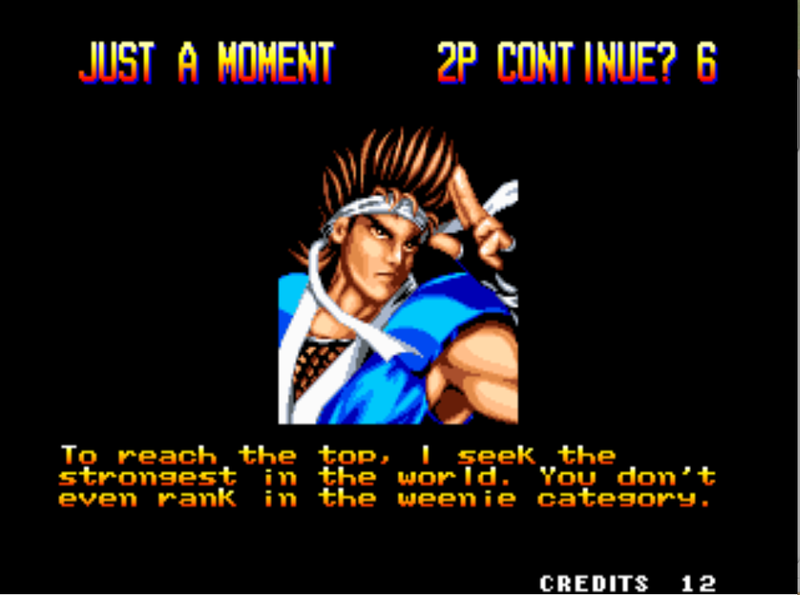 Instead of a 6-button layout, World Heroes uses only 3 of the standard 4 Neo-Geo buttons: one for punching, another for kicking, and the last for throwing. Certain buttons can also be used to deliver stronger attacks by holding them down. World Heroes hosted the first ever Bruce Lee doppelganger... Kim Dragon. 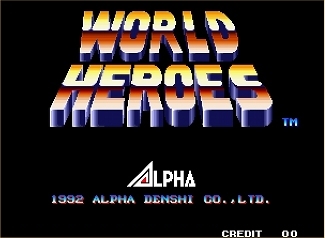 Though a bit clunky at times, the gameplay of World Heroes is at least playable. 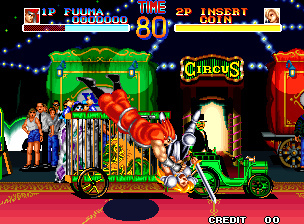 The one unique gameplay element that World Heroes introduces is the inclusion of "stage hazards". The likes of electric fences, flaming wrestling ring ropes, and spiky walls await the combatants at the corners of certain stages. Players can knock each other into the walls for added damage, or possibly even make a mistake a jump into a trap by accident. 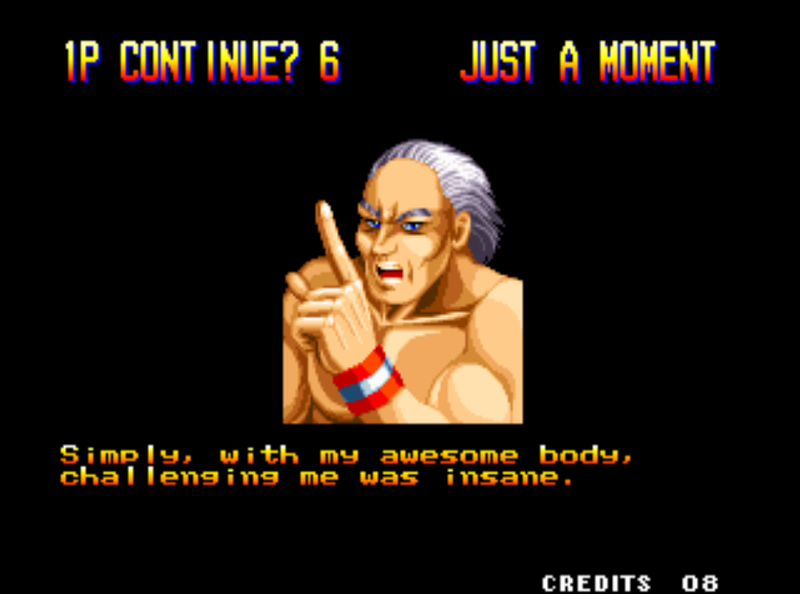 The game can be entertaining for a while... but I wouldn't go as far as calling the overall gameplay experience "fun" (when compared to other fighters of the time). 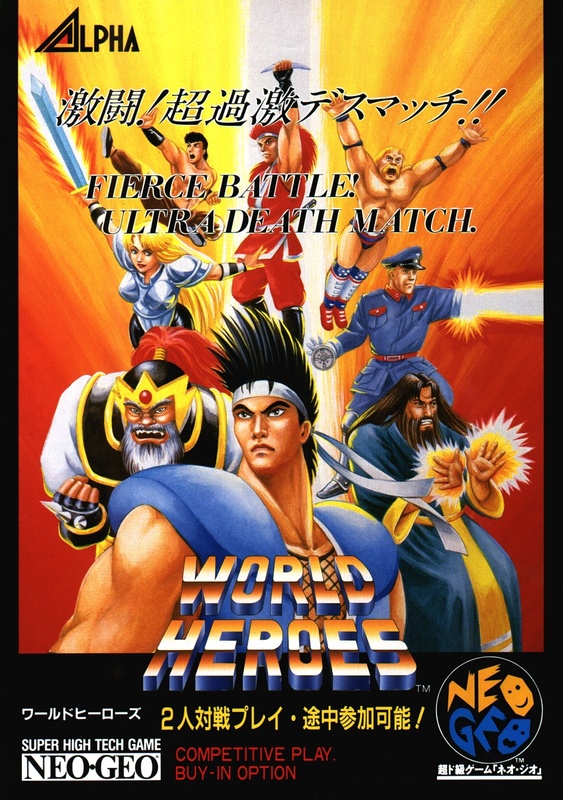 Overall, the visuals of World Heroes certainly weren't bad for 1992, but the game definitely looked like a handful of other titles at the arcade. 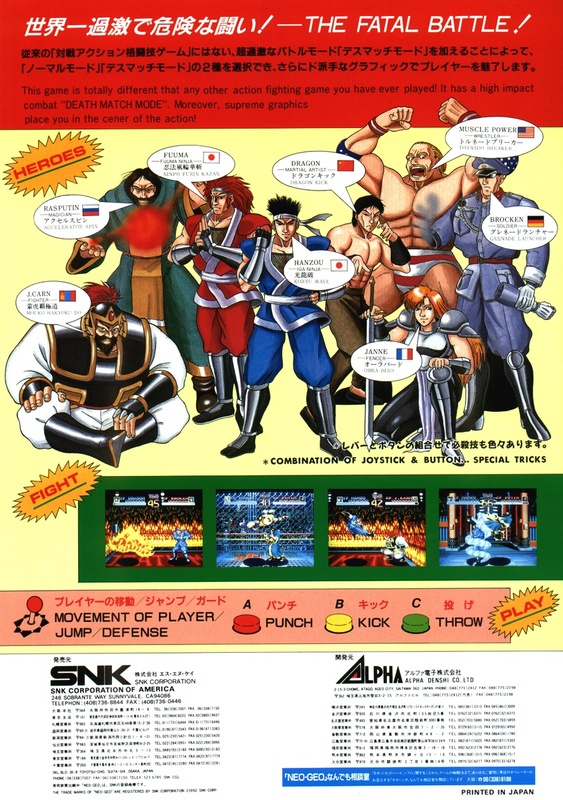 The colorful and "beefy" 2D character sprites were competitive enough with their SF2 / Fatal Fury / Mortal Kombat counterparts in terms of size and vibrancy, but definitely not animation. 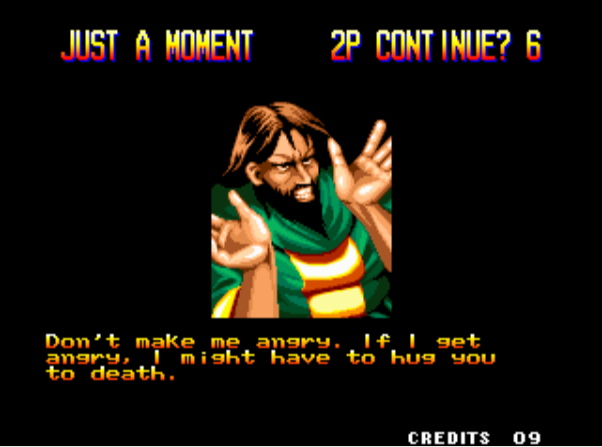 The sound effects and music also didn't make much of a statement... and I do remember some of the sounds in World Heroes being rather abrasive and annoying (that electric fence sound is particularly irritating - and round 2 hasn't even started yet). That looks like it could get messy. 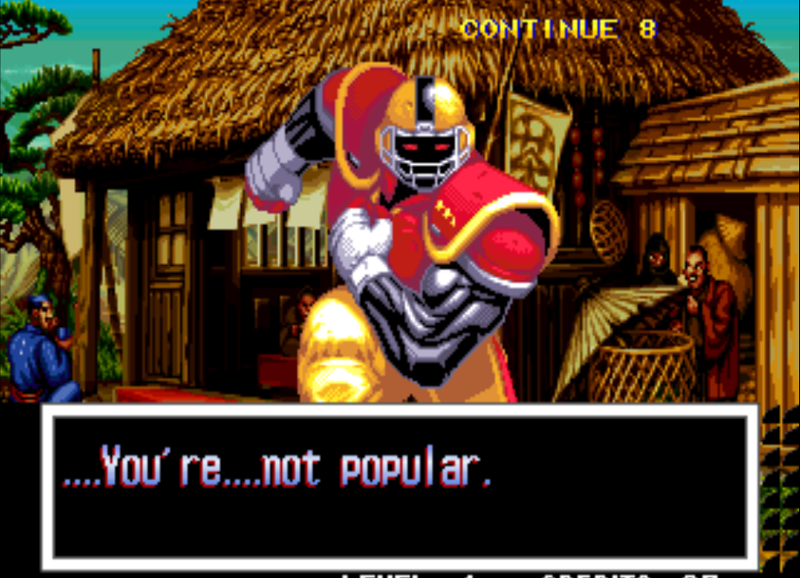 (it doesn't though). 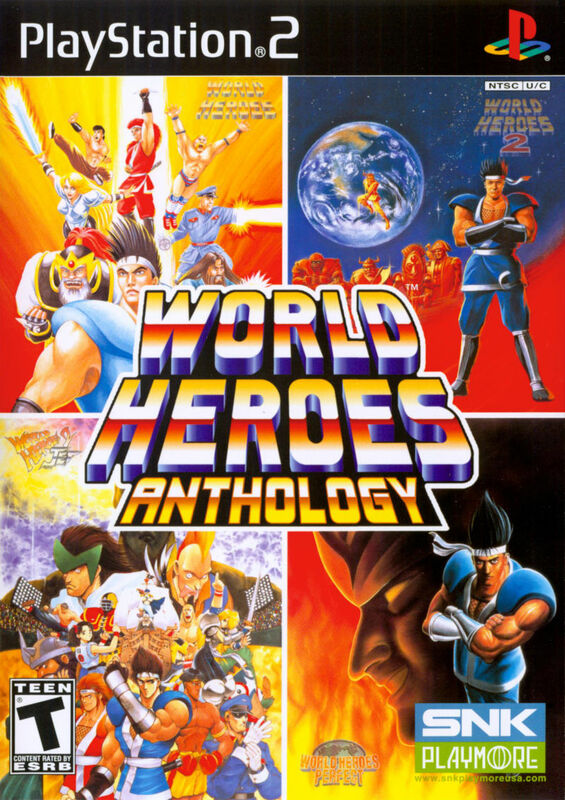 In my opinion, most of the characters of World Heroes just weren't very likeable - right off the bat. The fact that characters are based on historical figures is a unique novelty and all, but the designs themselves lack originality, personality, and... I don't know.... something. 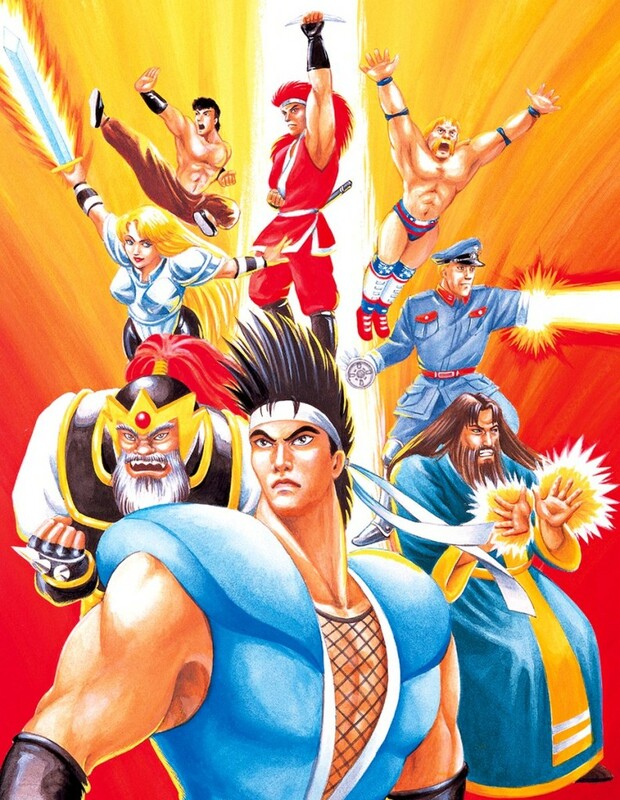 Plus, many of the World Heroes just seem like they really really want to be in Street Fighter 2 (but are settling for this lower budget deal out of necessity, so they're making the best of it). 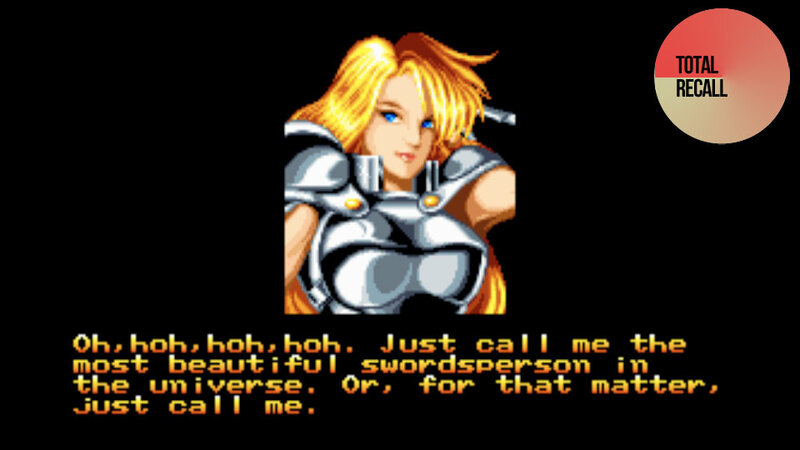 On the bright side, the sequel World Heroes 2 added several interesting characters which helped the lackluster roster situation of the first game. Cool story bro... Never talk to me again. Creep. 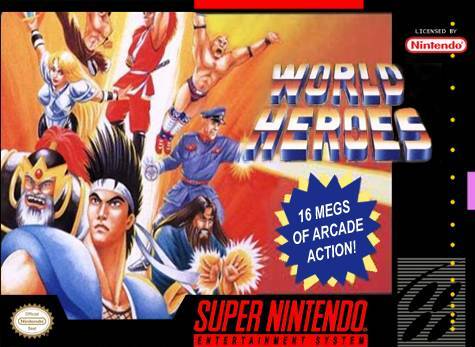 World Heroes was the start of a series that would spawn 3 sequels, but never managed to have any long-term success. 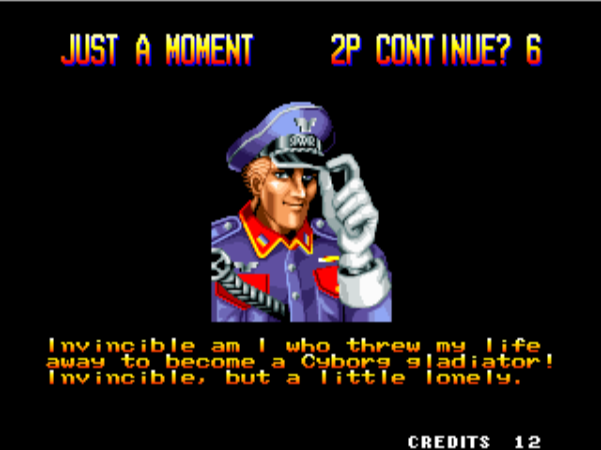 The game had a weird vibe overall. 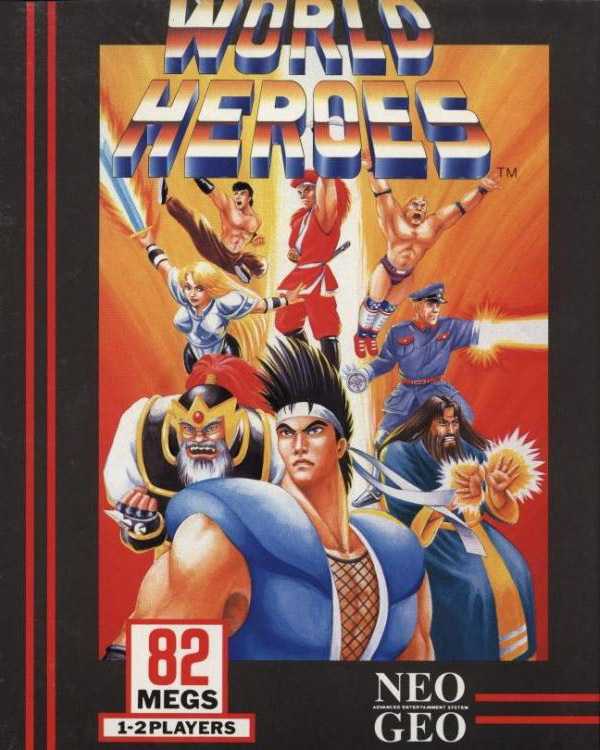 The character designs, the stages, and pretty much everything else about World Heroes seemed cheap-ish... in a Chinese bootleg sort of way.